Woking, United Kingdom, February 24, 2017 – McLaren-Honda unveiled its new machine, the McLaren-Honda MCL32, prior to its winter testing at the Circuit de Barcelona-Catalunya, for the upcoming 2017 FIA* Formula One (F1™) World Championship. The Honda RA617H, 1.6-litre V6 turbo engine with ERS, has been decreased the weight and lowered the centre of gravity to improve the balance of the car, while generating more output out of the ICE [internal combustion engine]. And the power unit will be fitted into the MCL32 for the 2017 season. 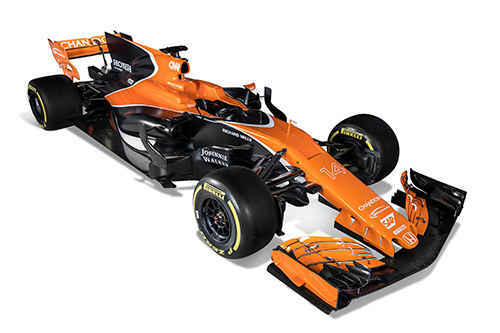 The MCL32 follows in the evolutionary footsteps of its two immediate predecessors, MP4-30 and MP4-31, but has been overhauled in every area as the design team has looked to capitalise on a series of new aerodynamic regulations introduced for 2017.